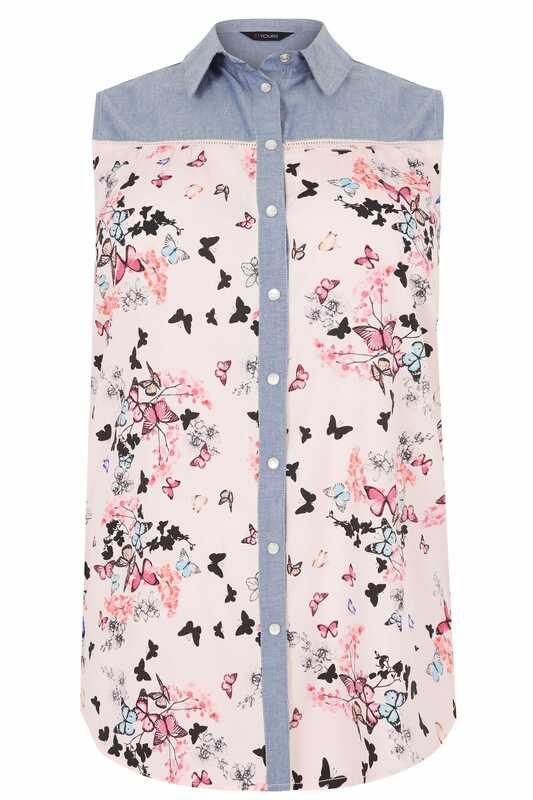 This chic sleeveless shirt is a daytime wardrobe must-have. In a slight longline design, it features chambray trims, pearlescent button fastenings and crochet detail across the chest. Team with denim and flats for everyday appeal. 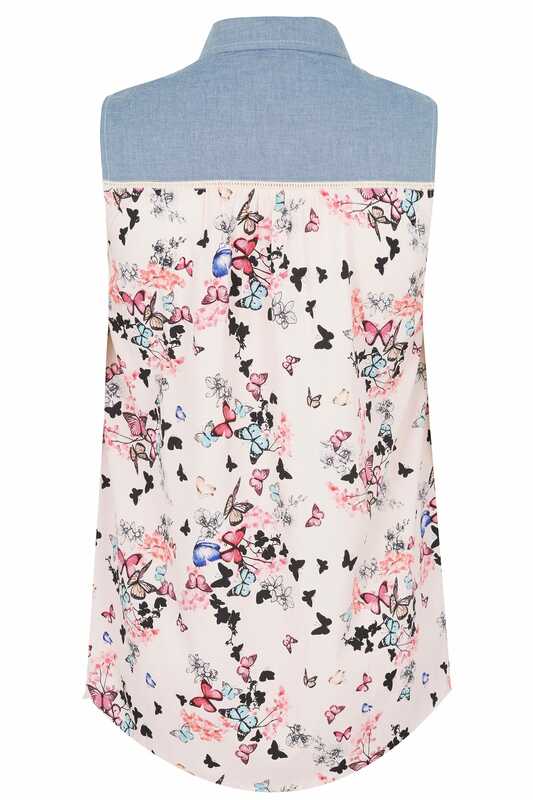 Easy-to-wear and style, we are loving the stylish butterfly print!